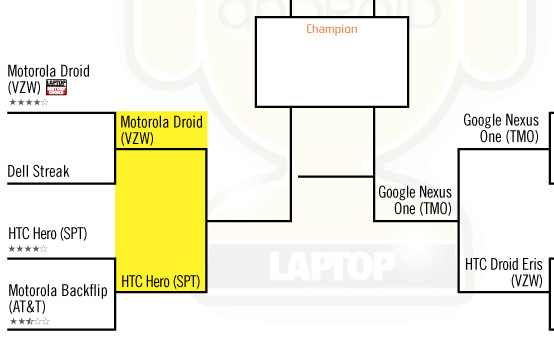 Our beloved Motorola Droid is taking on the HTC hero in another Android Cup battle we figured to be blowout. Is it? Not yet. Let’s go get ’em! For the full write-up, head over to LapTopMag. On a related note, I’m embarrassed to say that we missed the battle between the Nexus One and the Droid Eris. The Eris was taken down by a slim margin that our readers could have easily made up for. Sorry Eris users!